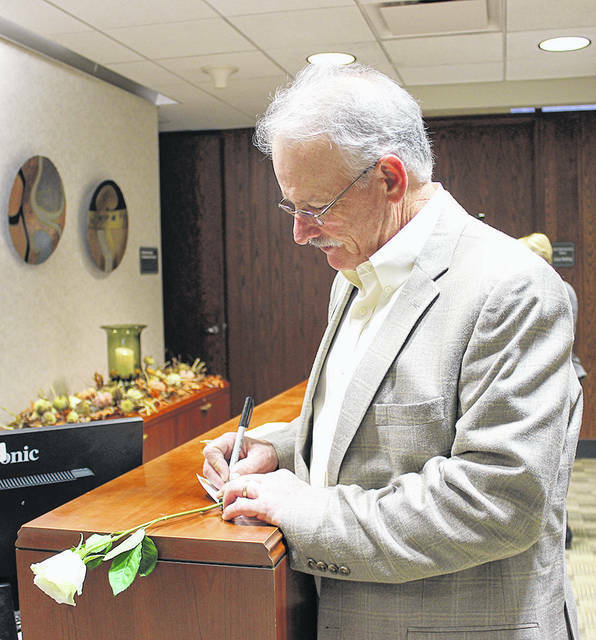 Dr. Michael R. Canady, CEO of Holzer Health System, signs a rose to be placed on the Donate to Life float in the Rose Parade. PASADENA, Calif. — This year, to show appreciation for the continued support Holzer shows Lifeline of Ohio through the organ, eye and tissue donation process, Lifeline of Ohio will be placing a rose on the 2019 Donate Life Rose Parade Float signed by Dr. Michael R. Canady, CEO of Holzer Health System. Canady wrote a message that will be placed on the Donate Life Rose Parade Float, which is lined with thousands of roses in the messaged vials to show support of organ, eye and tissue donation. Holzer’s message is one of thousands dedicated from hospital CEOs across the country. The 2019 Donate Life Rose Parade float, themed “Rhythm of the Heart,” highlights the musical diversity and rhythms of Africa. Djembe drums from Senegal, along with a Kuba drum from the Congo will carefully integrate 44 floral portraits in their beautiful design, honoring the brave lives of deceased donors. As the world’s most visible campaign to inspire organ, eye and tissue donation, supporters say, the Donate Life Rose Parade float inspires viewers to save and heal more than one million people in need of organ, eye and tissue transplants each year. For more information visit www.DonateLife.net. The Rose Parade is held on New Year’s Day each year or the following day if it’s a Sunday and is held in connection with the Rose Bowl. It was reportedly originally started January 1, 1890 and is reportedly watched by hundreds of thousands along its route while also being aired across television stations throughout the US.